The Cold War. A period of uncertainty and deception, of secret conspiracies and governments embroiled in a global scrap for fleeting gains. Even before its end popular culture had embraced the world of spies and top secret research, inspiring countless characters and stories across every genre imaginable. Project Cassandra is a roleplaying game of that world, the Cold War of the silver screen and printed page. It is a game inspired by true events and the conspiracy theories surrounding them, of government projects shrouded in secrecy and fantastic breakthroughs in a world of superpowers seeking the super-powered. 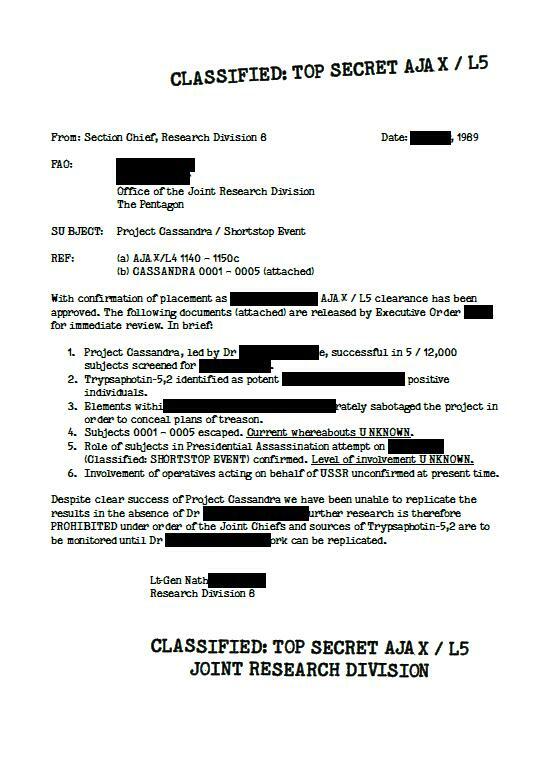 This document provides everything required to uncover the forgotten details of Project Cassandra and its role in preventing the Cold War from turning Hot. The latest draft of Project Cassandra will be available again soon.